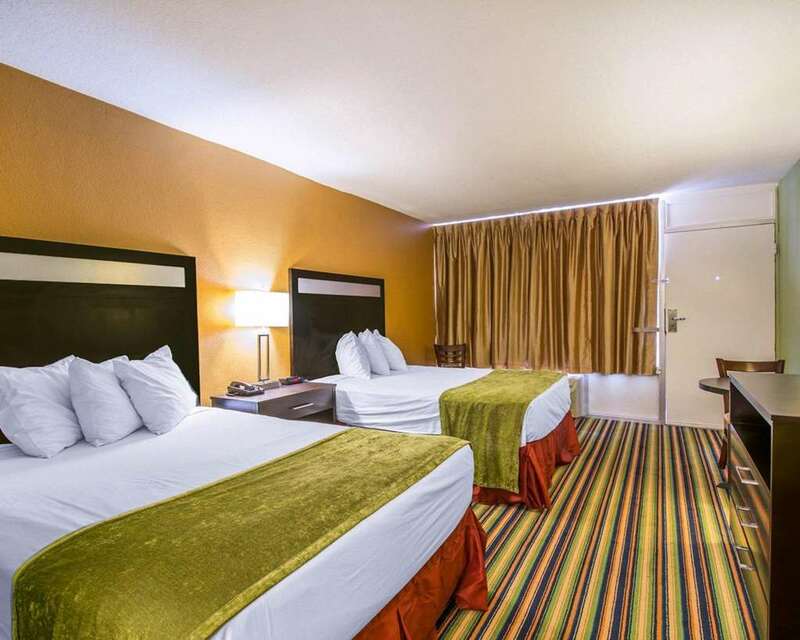 Get more for your hard-earned money at the pet-friendly Quality Inn Davenport - Maingate South hotel in Davenport, FL. Situated right off Interstate 4, we are close to Walt Disney World, SeaWorld Orlando, Legoland Florida, Islands of Adventure and Universal Studios. Count on amenities like free hot breakfast, free WiFi, an outdoor pool, meeting space and guest laundry facilities. Guest rooms feature flat-screen TVs, coffee makers and a refreshing shower. Also, earn rewards including free nights and gift cards with our Choice Privileges Rewards program. Pet accommodations 15.00 Per night, 2 pets per room 40 lbs maximum per pet. There is a Kennel 12 miles away.